Do you want to make your everyday pictures shine and funny? Sketch Guru has 90+ filters to use, it's the best sketch app ever!!! Try it now!!! Come on and create wonderful paintings!!! Sketch Guru is an easy to use and powerful app that lets you add sketch, cartoon and many other effects on your photos. So many handy tools, so many filters, none of your photos will look ordinary again. Besides, you can add artist fonts and stickers on your photo, which makes it outstanding! Pick a picture from your gallery or capture one from your camera to generate the sketch. Then you can share them on Instagram, Facebook, Twitter, E-mail, SMS, etc. I love the effect this app performed. It is so amazing. I 'll recommend it to all my friends. Everyone deserves it. I wanted to convert some color photos into black and white drawings.This app is amazing to be able to do it so well.Very impressed! I tried all the top sketch programs and this was the best by far.Does more than I expected.I love it very much.It gives so many ways to change your pictures.You can get really creative with this! 5 stars from me. * 90+ amazing filters!! Incredible sketch effects!! 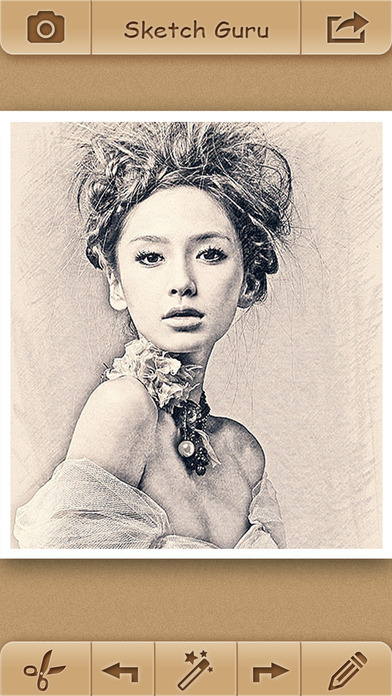 * Turn your photos to Beautiful Realistic Sketch. * Photos can be taken directly from Camera or Photo Album. * Adjustment of Brightness and Contrast to achieve the best Sketch Results. Why is Sketch Guru different from other Sketch Apps? * Sketch Guru uses complex algorithms to achieve REALISTIC and NEAR PERFECTION Sketch. * Our Sketch can be saved into High Resolution and suitable for printing. 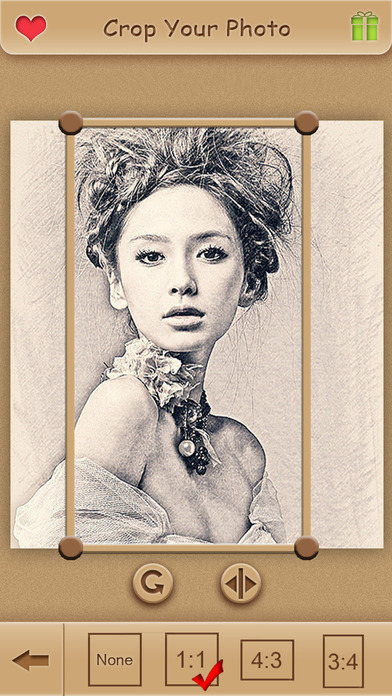 * Our Sketch retain the original quality of the Photo without destroying or distorting it. * 90+ filters, the most powerful Sketch App.